Amid intense national conversations on income inequality, A Glimpse Inside the Coffers finds that extreme wealth stratification is occurring not only among individuals, but also among institutions of higher education. 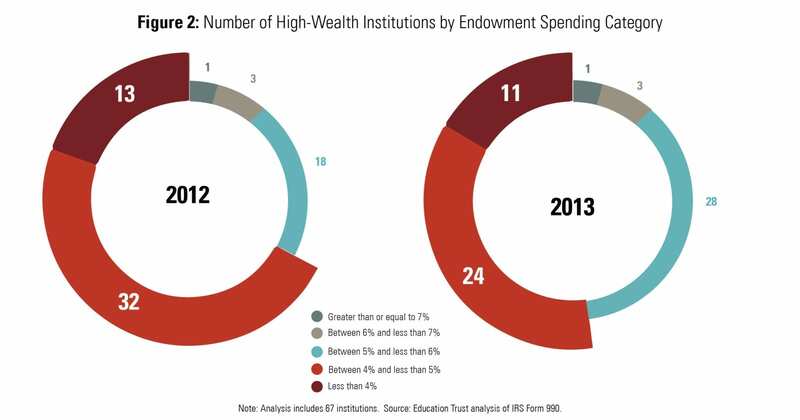 This report reveals that in 2013, roughly 3.6 percent of colleges and universities — 138 in all — held 75 percent of all postsecondary endowment wealth. 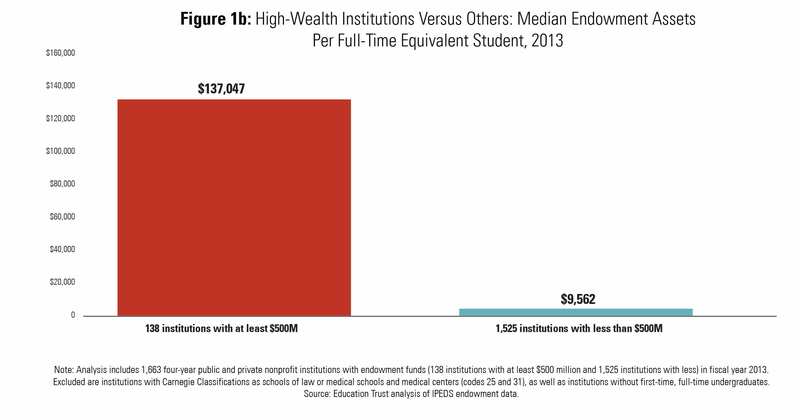 Yet despite their vast wealth, too few of these colleges invest enough in students from low-income families. 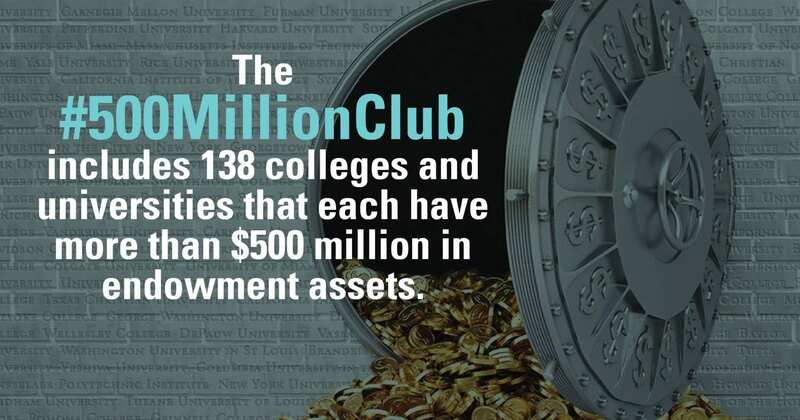 Dubbed by Ed Trust as the “$500 million club,” these 138 institutions each held at least half-a-billion dollars in endowment assets in 2013. 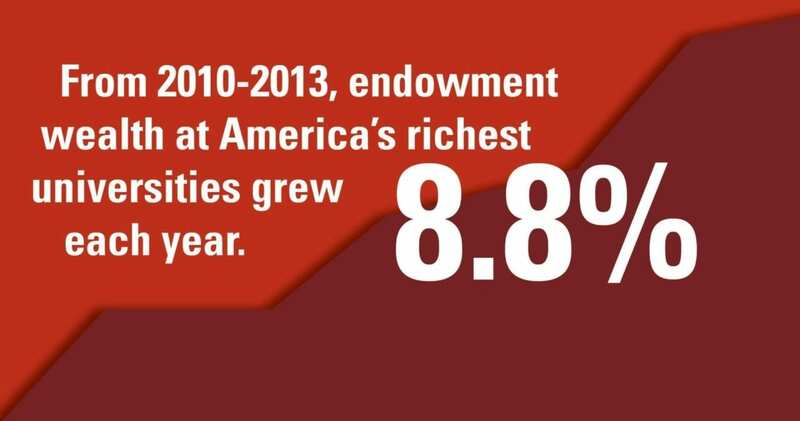 And these colleges benefit tremendously from their endowments since there is no required spending threshold and these funds are tax-exempt. But as Ed Trust research reveals, nearly half of institutions in the “$500 million club” are in the bottom 5 percent nationally for their enrollment of first-time, full-time Pell Grant recipients. Moreover, nearly 4 in 5 of these wealthy institutions have an annual net price for low-income students that exceeds 60 percent of their annual family income. These colleges can and should do more to enroll a greater number of low-income students and to make college more affordable. 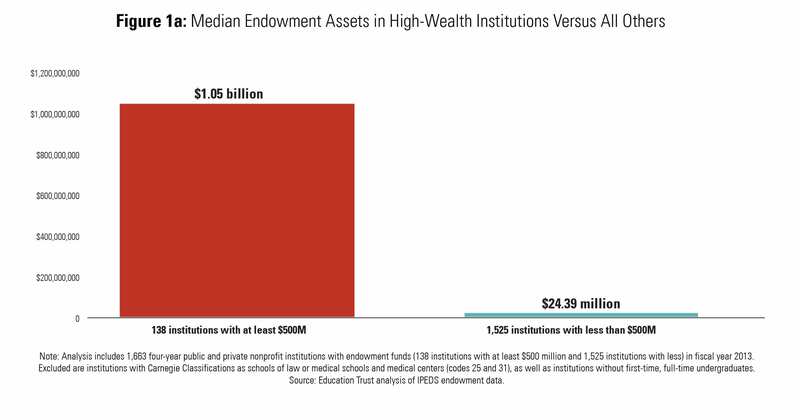 A Glimpse Inside the Coffers makes a strong argument, that despite what some leaders at wealthy institutions may say, dedicating more endowment assets toward supporting low-income students is sorely needed and is doable. 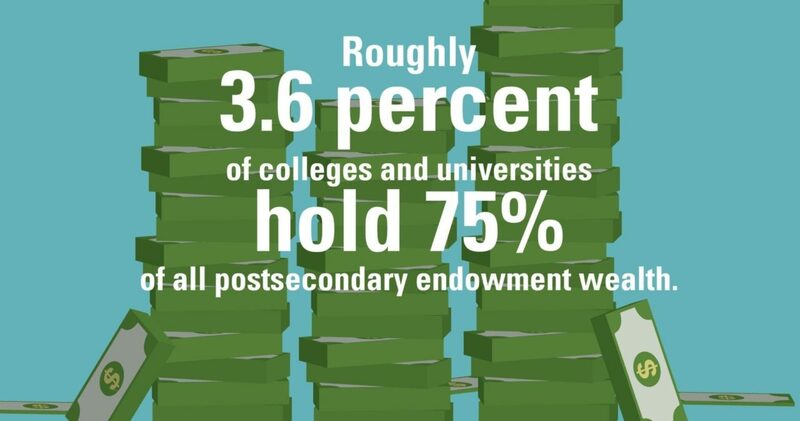 And in some instances, increasing endowment spending by just a small fraction of a percentage point would generate enough revenue to enroll many more low-income students and reduce the price these students pay.